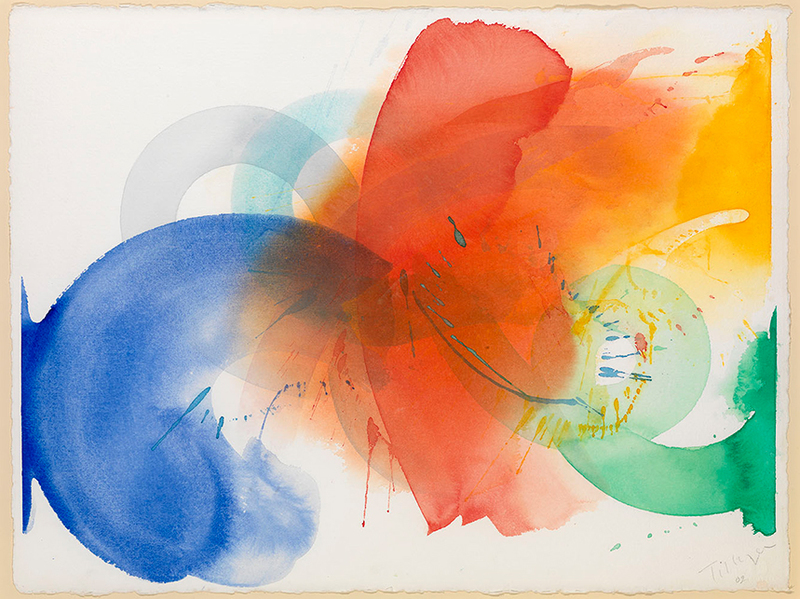 "Water colour artists know that theirs is an art that requires materials of exceptional quality, strength and durability and the beauty of the finished work starts with the selection of the highest quality paper." Winsor & Newton have been creating the world's finest art materials for almost two hundred years. And with all of those years of professional excellence and artisan craft comes a passion for innovation. To constantly evolve and find new solutions while retaining the very best traditional techniques and processes. The introduction of new Winsor & Newton water colour papers is testament to this commitment to art and science; creative and technical excellence; heritage and modernity. Winsor & Newton water colour paper craft starts with the selection of the finest ingredients. In the case of their new water colour paper ranges - 100% cotton or archival grade cellulose wood pulp. Their luxury 100% cotton is an exceptional paper that looks and feels handmade. The length and quality of the cotton fibers used give the paper its luxury feel and result in superior strength and durability. In addition, the archival grade cellulose wood pulp paper is made from the finest grade wood pulp and natural artesian well spring water with neutral ph properties. 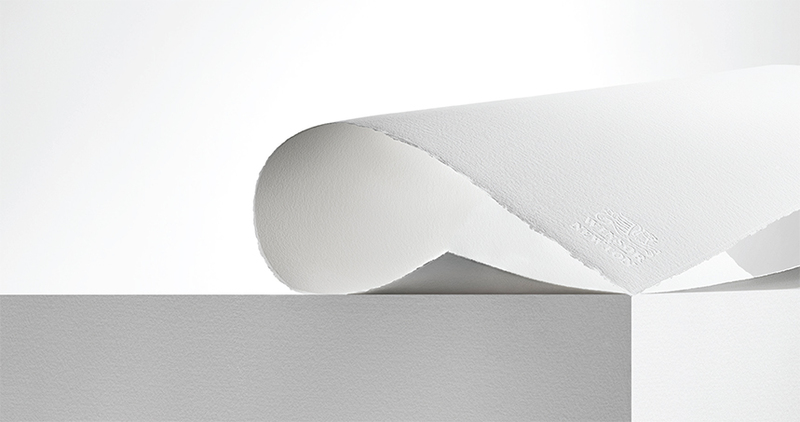 This offers an extremely resilient, high performance paper that looks and feels handmade. To transform these raw ingredients into the finest quality paper calls for an artisan production process. 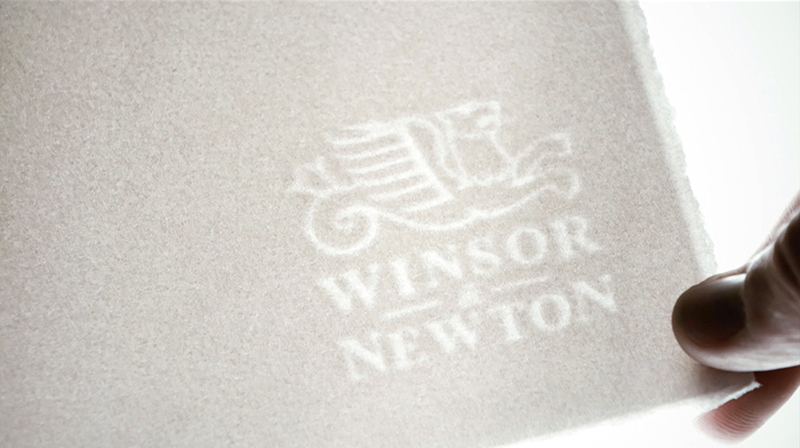 All of Winsor & Newton's papers are made on a traditional cylinder mould at the paper mill, following a practice that dates back to the 19th century. There are only a few remaining cylinder mould machines in the world. A slowly rotating cylinder mould picks up the paper stock and puts it onto a continuously moving woollen felt. The cotton or cellulose wood pulp fibers are dispersed and interwoven, giving the paper greater strength and dimensional stability. This production process provides the individual character of handmade papers such as clear watermarks and deckle edges and each and every sheet is inspected by hand before leaving the paper mill. Cylinder mould made water colour paper also offers a handmade finish with a variety of different surface texture options. Winsor & Newton 100% cotton paper is rough, cold pressed and hot pressed while Winsor & Newton archival grade cellulose wood pulp paper is cold pressed only. Hot pressed paper is paper with a very smooth surface and practically no tooth, an important consideration for detailed portraiture and smooth washes. Cold press is paper with a slightly textured surface or tooth great for painting with texture and colour depth. Rough paper has a pronounced, varied texture, making it popular for water colours with a free, loose feel. And with strength and durability being a mark of quality in water colour paper, both ranges benefit from internal and external sizing which perfectly manages water absorption and ensures a resilient surface that won't cockle or warp. This makes both ranges ideal for water colour, gouache, ink and acrylic. Acid free and with no optical brighteners, both Winsor & Newton 100% cotton and archival grade cellulose wood pulp paper ranges offer brighter natural whiteness. They are also made to the highest possible archival standards, so will not yellow or degrade over time. Designed and realised to be the finest, high performing luxury papers available today, choose greatness with Winsor & Newton. To find out more about the paper included in this brilliant new range, please select a sub-topic below!